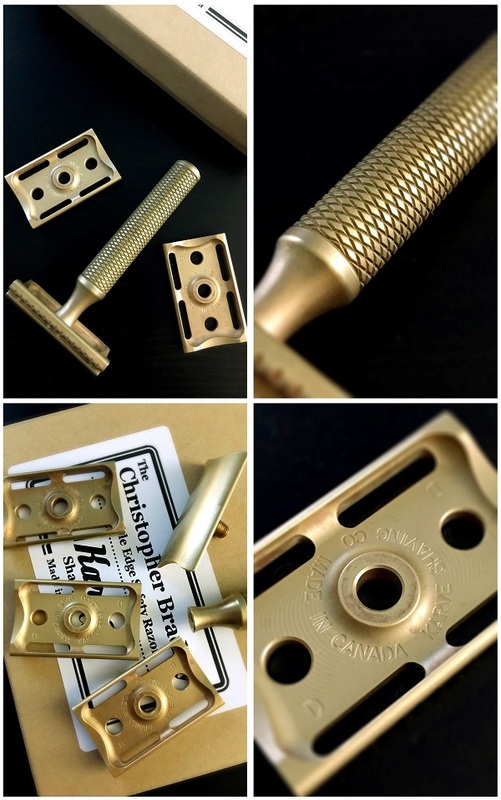 Up for sale is my Karve Christopher Bradley razor in brass with B, C, and D plates. It is the 3 inch long handle. This razor is a tank and the different plates cover medium to medium-aggressive in my opinion. I prefer solid brass to stainless steel because it doesn't get "tea stains" like SS and also this will develop a nice patina over time. In fact, I polished it to the best of my ability just in case whoever purchases it wants it to stay as new as possible, although I think a patina makes it look better. I purchased this from a member for $94 with the B and C plates. I bought the D plate directly from Karve for $32.62 exactly. So all told, I have $126.62 in it. You can currently get this whole package for $129. I was thinking $115, shipped CONUS via USPS Priority Mail with tracking. If you are an international buyer, please PM me and we can discuss shipping rates and services.